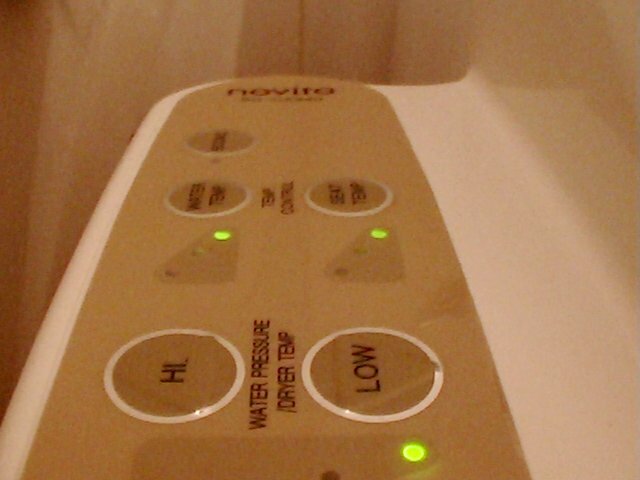 Gizmode, the bot in my pot :: Toilet humour series – I say. Essay. Assay. ऐसे. The intended continuity with the first link is Korea. (Any GIGO inferences are your own and not mine!) The intended continuity with the second link, has, of course, to do with the ‘substance’ of the post. One could safely assume you have come across psycho-analytical articles on the power of the ‘remote control’. Remember the references to Shiv Sena supremo, Bal Thackeray, while Manohar Joshi was the Chief Minister of Maharashtra. Or in contemporary politics, the equation between Sonia (yet so far) ji and Manmohan ji. Or closer home, ‘who wears the pants at home’, being replaced by ‘who holds the remote at home’. Actual power vs. perceived power. The essence captured in one word — CONTROL. Let’s admit, all remotes, consoles, dashboards are all about CONTROL. Think Star Trek. Think Shakaal (in Ramesh Sippy’s Shaan). Think James Bond. Think Austin Powers in The Spy Who Shagged Me. And now, presenting Gizmode, the ultimate seat of power and ‘control’. Ironically this at a place where the main job is to let loose, and not to control! Control is what you do till the time you get there! Don’t waste your time looking for the mug, paper roll, hand shower, jet faucet or any other ‘means’ you’ve ever used at your ‘ends’! The control is right beside you. Let’s start with the button that seems to be the most ‘not-wanted’ in the land of prolific production. It’s called ‘ECONO’. Let me ask you this, would you ever — EVER — want to try ‘econo’ and be at the receiving end of a feeble trickle or a faint shower? ‘Supply’ shouldn’t fall short of ‘demand’, you see! The next set of buttons gives you an idea of the kind of control you get to wield here. It’s called ‘TEMP(erature) CONTROL’. Nice, you say. Immediately thinking of the water temperature options one has in Delhi. Icy cold in winters and scalding hot in summers! Wait, there’s more. You also get to adjust seat temperature here! 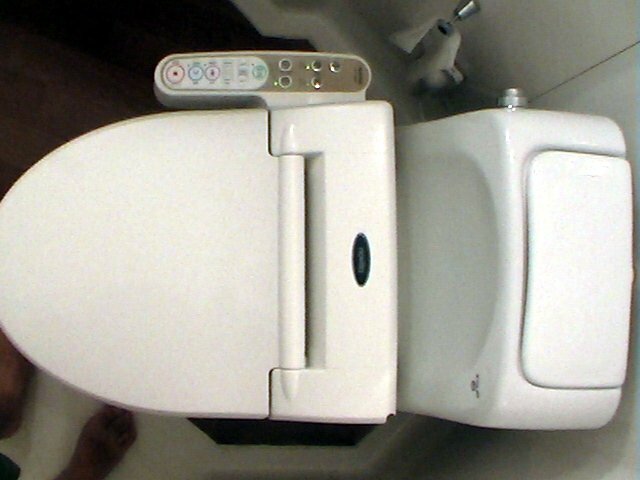 Again you think, that the closest you’ve come to temperature control on toilet seats is when the seat is left warm by the person using the toilet before you! Next. 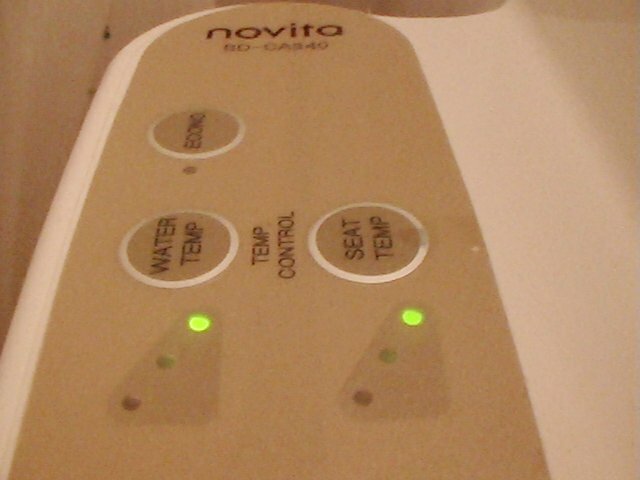 You can control the WATER PRESSURE! Ah! Now the delight starts. (Especially in contrast to the water canon that masquerades as a hand shower in my office toilet!) That’s not all. You can also control the DRYER TEMPERATURE! Oh! Does it mean there is a ‘dryer’ also there? Yessir, you got it! If you’re the kind who gets overwhelmed with choices. Play safe, go with ‘AUTO’. Which is touted as the option FOR CHILD(ren). I tell you, I don’t know of a real-life equivalent to this! The closest I could think of is a combination of the predominant Indian ‘technique’ and some amount of hedonistic perversion! Incidentally, this is first set of buttons with Korean sub-titles. Some cultural insights to be made here, eh? 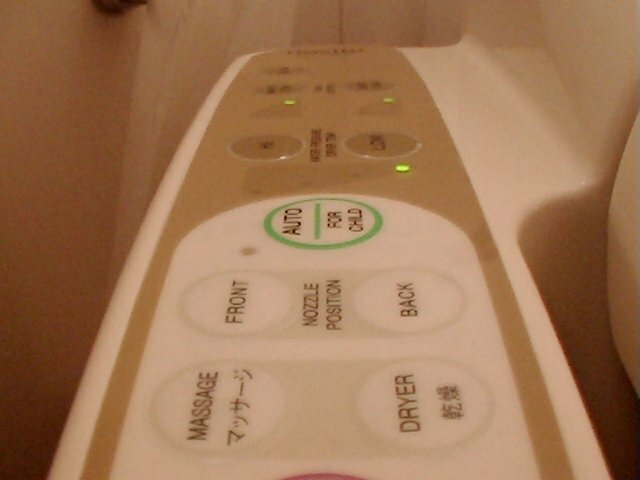 The button that comes next reminded me that all through my years of architectural studies at the School of Planning and Architecture, I never really got on top of a bidet — both literally and figuratively! 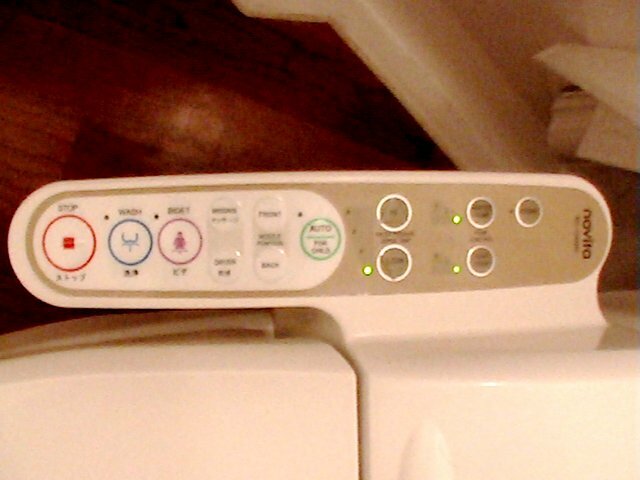 The next button in a way is all you ever wanted to do here — WASH! Of course, if you had forgotten what you had wanted to do, the accompanying graphic reminds you suitably! And not surprisingly the most prominent button that’s right at the beginning of the ‘control’ — especially if you’ve fumbled or got yourself into a mess with any of the preceding options — is STOP! So what else would I want from this robot in my pot? Considering that I did not eat well — (read this) — if only it could do something about my constipation! Now, coming from you, that’s a decent thought. I would have trusted you with thinking of using hidden cams and making YouTube videos of people using this!